Hindu extremists influence those who practice tribal religion. HYDERABAD, India (Morning Star News) – A longstanding Hindu extremist practice of turning animistic villagers against Christians has intensified as elections get underway in India today, with tribal villagers taught that Christianity is anti-Indian. Upset about tribal Adivasi relatives leaving the animistic Sarna religion to become Christians, 60-year-old Sanpitha Majhi attacked a 28-year-old Christian mother he believed had “forcefully converted” his daughter and son-in-law in eastern India’s Jharkhand state. 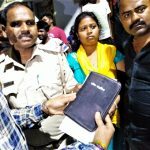 Bale Murmu was washing utensils in an outdoor area of her home on April 1 and did not notice Majhi, her neighbor, coming toward her, pastor Girish Chander Marandi said. When her husband, Jaata Murmu, heard her screams and came to rescue her, he too was beaten, Pastor Marandi said. Police refused to receive their complaint until they reminded officers that Majhi had also attacked Christians on Feb. 27, and they implored officers to take action, he said. In the previous assault, Majhi burst into a house where four Christian families had gathered for worship and beat them. 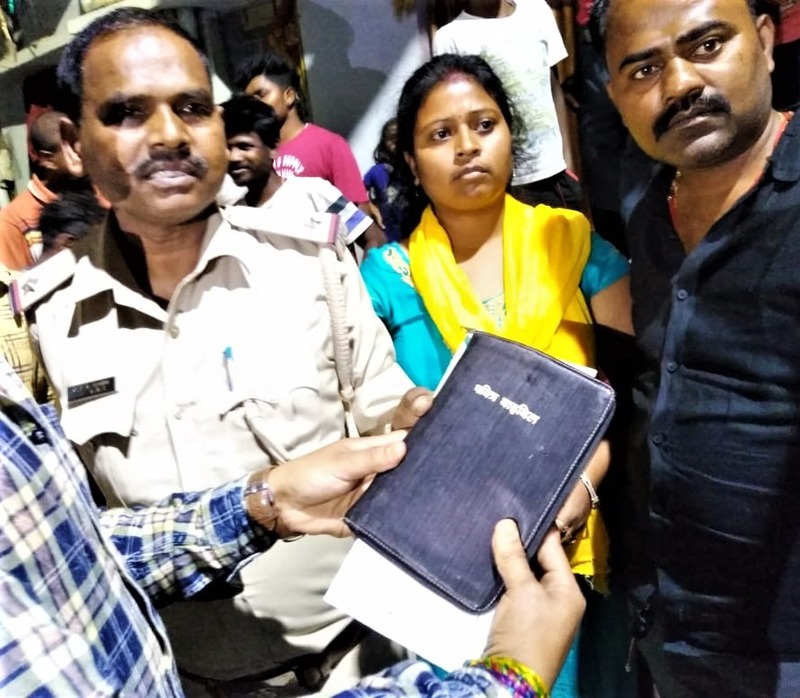 This month officers at Bangriposi police station booked both Majhi and his wife for house trespass, assault to outrage the modesty of a woman, sexual assault, voyeurism and criminal intimidation. A Baripada Court judge sent Majhi and his wife to remand – triggering further animosity from tribal villagers. Majhi’s daughter and son-in-law had put their faith in Christ after their 10-year-old son fell seriously ill, Pastor Marandi said. As the boy suffered severe weight loss and was wasting away, the couple noticed that Murmu and others gathered for prayer and worship. But Majhi, a staunch Adivasi believer in the Sarna religion, was upset about his daughter, Shanti Soren, leaving the traditional practices along with her husband, Vikram Soren, the pastor said. The couple lived in his house after marriage, and he would come home drunk and beat both of them, he said. Such violence comes against the backdrop of a draconian “anti-conversion law” in effect in Jharkhand, giving rise to spurious accusations of forcible or fraudulent conversion. And it comes in the context of Hindu extremists turning animistic villagers against Christians, especially with general elections underway today through May 19, sources said. Hindu extremists have indoctrinated animistic adherents of tribal Sarna religion to believe that they can worship Hindu idols, and also that Christian worship defiles their culture, a legal advocacy group representative said. Hindu extremists need only teach adherents of Sarna that Christianity defiles their culture to cause a rift in a family, he said. Christians make up to only 4.3 percent of the population in Jharkhand. In Pandanwa Tanda of Hazaribagh District, two families put their faith in Christ after years of losing family members to traditional attempts to free them of evil spirits – only to face terrifying tactics from the Adivasi villagers, sources said. For decades in Pandawa Tanda and surrounding villages, tribal families who refused to go to hospitals for treatment have sought traditional healers known as tantrics, pastor Manoj Munda told Morning Star News. “The tantric would thrash them with a whip and exorcise on them, and they’d get even sicker and fall prey to death,” Pastor Munda said. Families who put their faith in Christ four years ago have broken the cycle of death from such treatment, though they have to travel miles to neighboring villages for worship due to hostilities from local Adivasis. This year, local villagers practicing Sarna mixed with Hinduism have begun collecting funds for puja (idol worship of gods and goddesses), Pastor Munda said. “They announced in the village that Christians are deprived of all rights, and that if they do not contribute to pujas, they must be cast out of the village,” he said. When Christians refused to contribute on March 8, two days later villagers surrounded the wife of Christian Belu Ganjo as she went to draw well water at 9 p.m.
“The entire village surrounded her and had decided to tie her with a rope and drown her in the well,” Pastor Munda said. She screamed and her husband came running to rescue her, and the women in the mob attacked her as the men attacked Ganjo, he said. They beat them up with lathis, a bamboo stick bound with iron, and kicked them, he said. The Christians passed through a pitch-dark forest to reach Bhadka. The next day, they went to police, and officers at Sadar Police Station summoned the villagers and settled matters, Pastor Munda added. The inspector warned the Hindus that he would charge them if they continued harassing Christians, but for now they are worshipping secretly, he said. “The villagers had severed all ties with them already,” Pastor Munda said. In Ranchi, the state capital, Hindus falsely accused Christians of forcible conversion and handed them to police. Christina Oraon told Morning Star News that she another Christian, her friend Sukro Munda, were visiting Munda’s niece Timi Munda, who was ill, on March 30. Timi Munda told Morning Star News that the two Christians, who are illiterate, had requested she read the Bible to them so they could repeat verses after her. The two villagers forced the two Christians into a vehicle and took them to the police station, Oraon said. Officers at Lalpur Police Station told Morning Star News that Oraon and Sukra Munda have been taken into custody for questioning and would be released soon. “The police sent the women to the women’s police station to extend the custody till next day,” a local source who requested anonymity told Morning Star News. At midnight on March 30, the Jharkhand legal aid unit of ADF-India reached higher police officials and secured the release of the Christian women without any charges filed against them. “The neighbors told my husband and in-laws that my aunt and her friend, Oraon, were attempting to convert me to Christianity by reciting the Bible verses,” Timi Munda said. Also in Ranchi, Hindu relatives filed complaints of forced conversions against newly wedded Christian couple. Risha Toppo and Roshani Kachhap married on Jan. 5 but could not live together for two months due to threats. Toppos had gone three times to his parents about his desire to marry Kachhap, but they insisted he marry a Sarna woman, he said. “I tried very hard to tell my parents how important it is for me to marry a believer, and that I can’t give up my faith in marriage matters,” he told Morning Star News. They gave him only leftover food once a day, and sometimes he would go to sleep without a meal, he said. After two months, Kachhap’s parents organized a thanksgiving prayer for the couple in their church. Toppo’s parents found out. At the police station, he discovered that complaints had been filed against him and his wife in three police stations in Ranchi, Sadar and Namkum, he said. Toppo’s family banished him from the community.